Arris Engineering provided HVAC, Plumbing, Electrical, and Fire Protection design to this project. 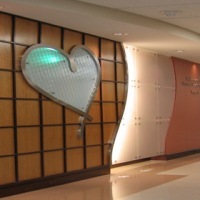 Overall design was to provide an attractive and comfortable environment for one of the busiest parts of the Hospital. Centralized monitoring and food service functions provide additional patient ease and of use for the staff. Renovations to existing nurse stations, enlarging these areas to provide further comfort amongst the unit, were part of the design.